Sophie Turner rose to fame as the gorgeous and sharp Sana Stark in HBO's popular TV series, Game of Thrones. The actress who's currently dating Joe Jonas was recently criticized for revealing the details of its upcoming season finale to her set of friends. The last and the final season of GOT will air from April 14 and hopes are there are some high hopes pinned on this crucial season. Will Jon Son sit on the throne or will it be Daenerys Targaryen? 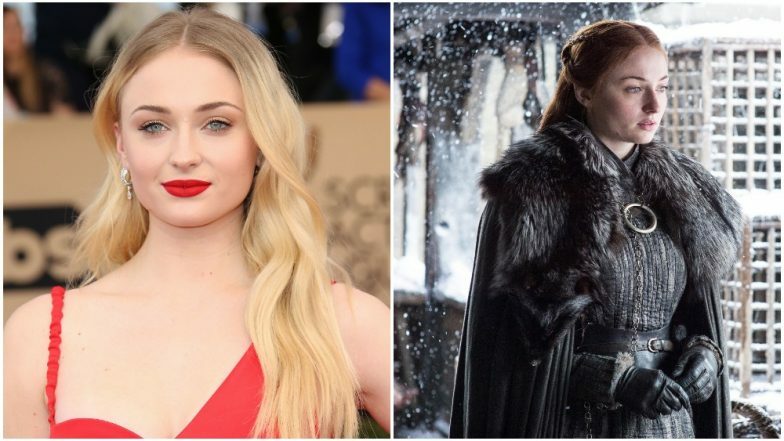 We don't know but Sophie Turner went ahead and revealed the secret to some of her friends. And this irked the Twitterati. Game of Thrones Season 8: Jon Snow, Daenerys Targaryen and Cersei Lannister to Die? Peter Dinklage's Instagram Post is Causing Fans to Believe So! Sophie was heavily trolled for leaking the content to her friends and not safeguarding this big secret. However, she has no qualms about it. In her recent interaction with Entertainment Weekly, she revealed why she is unperturbed with all the social media trolling. "I was on Twitter and saw these headlines like Twitter followers are being so mean to Sophie Turner after reports she told her friends the ending of Game of Thrones,' The truth is I’ve only told two people. It’s not that many. To be honest, I don’t read many of the mentions on Twitter because there’s normally quite a bit of hate. Everything I say will always have some negative reactions so I’m not surprised," she said. Game Of Thrones Season 8: Longest Episode of the Series Will Premiere On the Opening Weekend Of Avengers: Endgame. Sophie also mocked about how Kit Harrington is everyone's darling as no one trolled him for leaking the story line to his wife. "The people love Kit Harington, he can do no wrong. He’s the people’s prince!" she said. The shooting of this TV series wasn't as hunky dory as we all assume it to be. After Jon Snow aka Kit Harrington revealed details about his therapy sessions he took after the death of his character, Emilia Clarke aka Daenerys Targaryen also opened up about her brain surgeries. Guess bidding adieu to this popular show is a matter of both joy and sorrow for these stars.